Below you'll find a list of resources for the leaders and volunteers of All Saints' to be equipped for ministry. The original database for All Saints' members, there's a directory, calendar, and more all available online. Password and username needed. 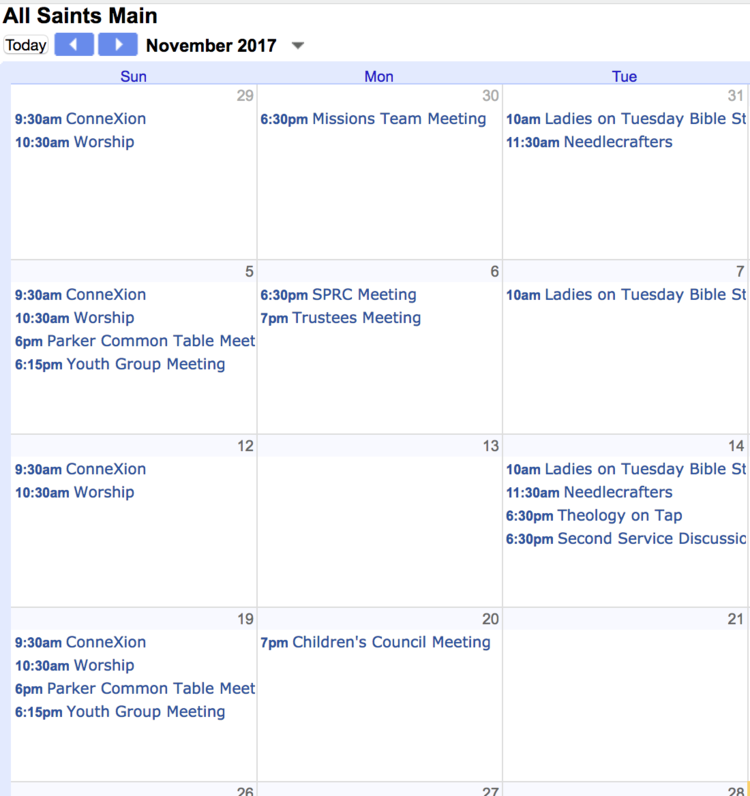 Follow the link here to view a calendar of meetings, times, and locations at All Saints'. 2018 Budget Interpretation - this provides explanation of our 2018 budget. Please note that clergy/staff salaries have been distributed among various ministry areas. Church Council and Leadership Team - this provides a list of those in leadership at All Saints' UMC on the Church Council and Leadership Team.